Is that somebody playing a piano on a truck? 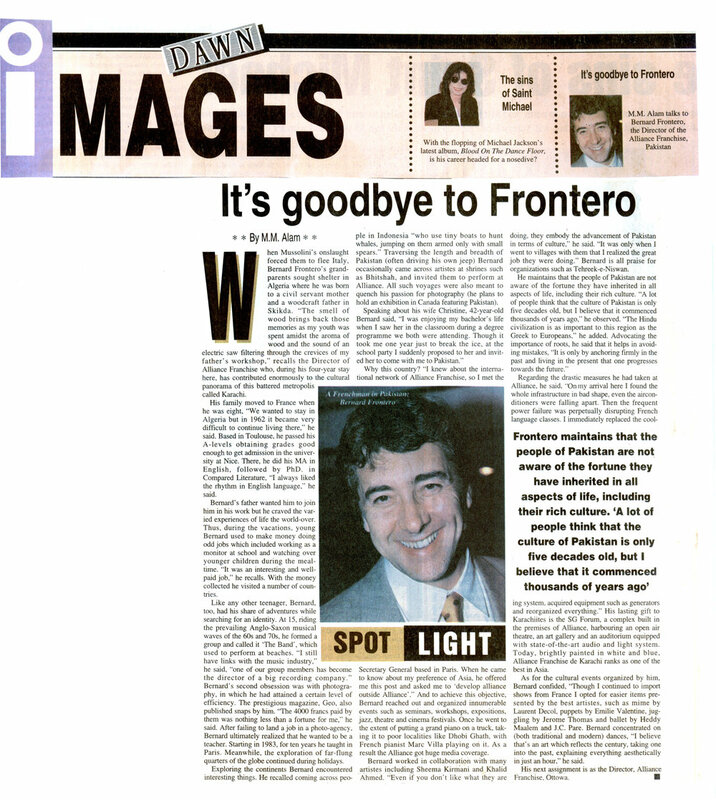 Here’s an unexpected sight we found in our archives from the 90’s! 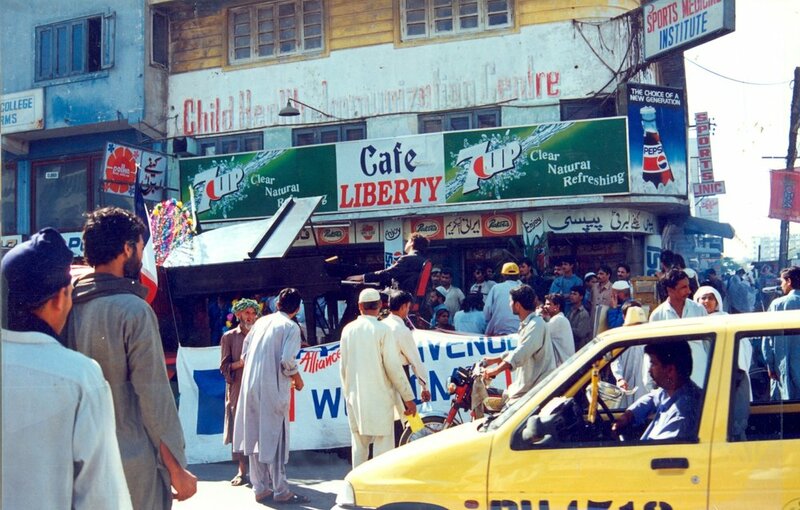 While Karachi’s residents are usually quiet unfazed by street traffic, the sight of French pianist Marc Villa going around the streets of Karachi on a cargo truck, playing a grand piano managed to gather quite a curious crowd. Check out some snaps from the day. In the background, you’ll spot the famous Café Liberty. This curiosity also got featured in a story in Dawn newspaper about the then director of the Alliance Française de Karachi, M. Bernard Frontero, and his inventive initiatives to bring French artists and culture to Karachi. 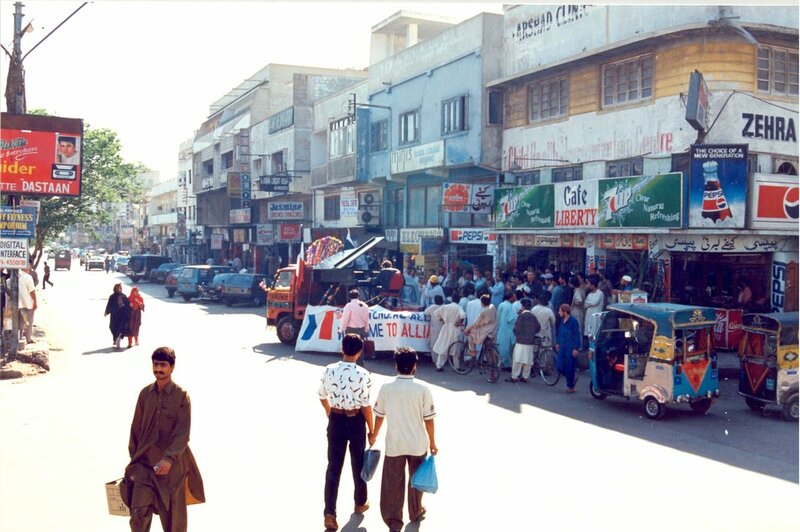 Explore more than 60 years of our archives of photos, videos and audio recordings that capture some of the essence of the vibrancy of cultural exchange and learning at the Alliance Française de Karachi over the years. 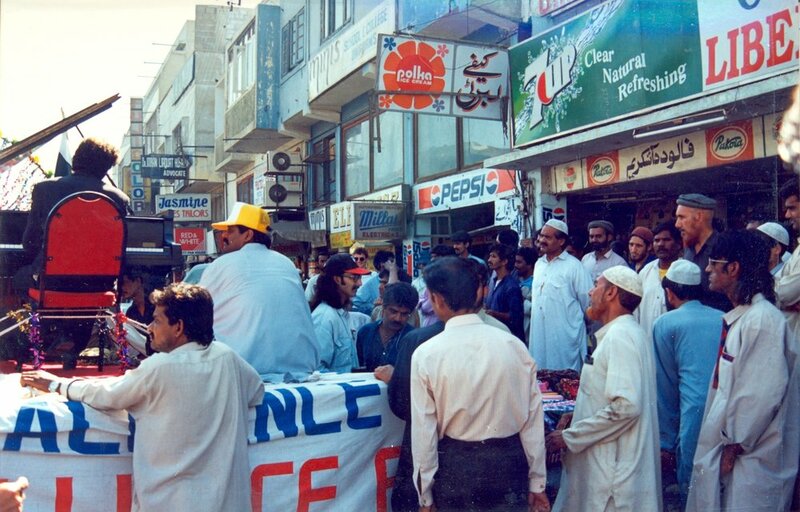 We are grateful to the Citizens Archive of Pakistan and their Oral History Project team for helping us archive this material. Check back on our blog and social media to see more material like this. If you have photos or other memories with us that you'd like to share, we'd love to hear from you!